Today I received a couple oddball items I bought on Ebay from a local dealer. 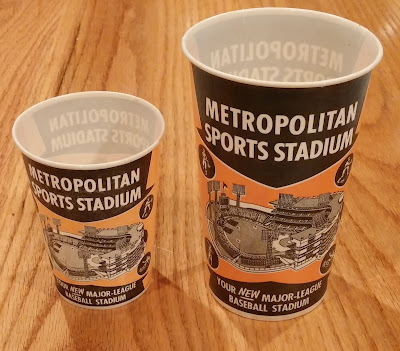 These are cups used for beverage sales at the Old Met Stadium. 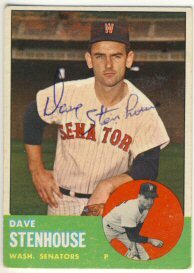 The dealer's listing dated these as 1956, which is when Met Stadium opened and the Minneapolis Millers played there. 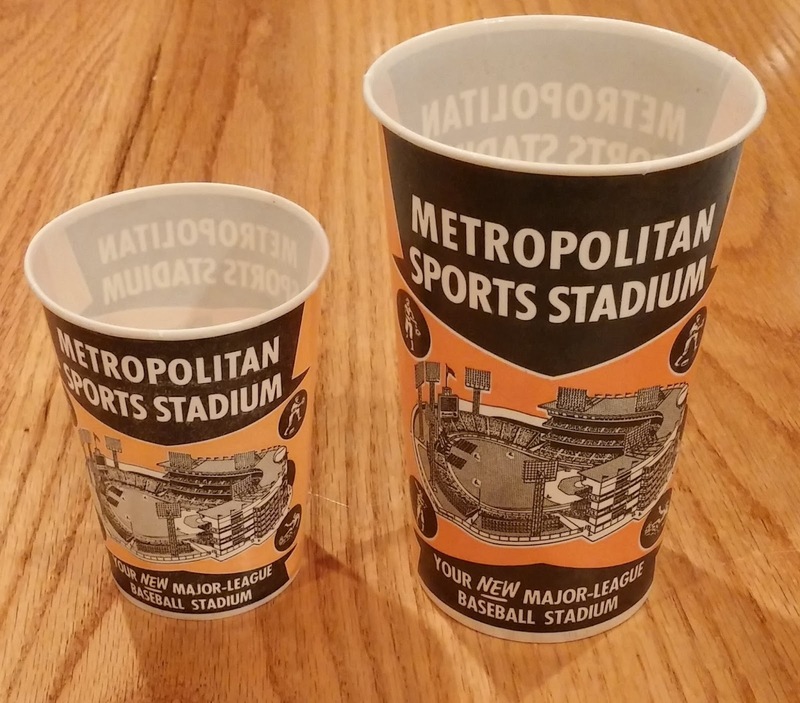 But these cups say "Major-League Baseball Stadium" and the Twins didn't play there until the 1961 season. So I'm not convinced of the date, but it's late 50's or 60's. I'm not sure why I decided I needed to have these, but I thought they were pretty cool. 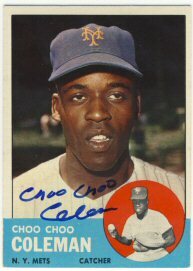 Corey, a reader of my blog, was kind enough to send me information about a Choo Choo Coleman signing that was being held in March. 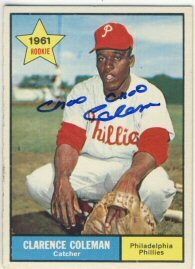 I sent in a 1961 and 1963 Topps for my sets and got them back today. Kennys Vargas was first to respond to my spring training requests. 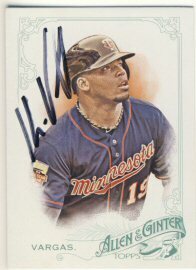 He signed his 2015 Topps Heritage and Allen & Ginter cards for me. Now I'm 1 for 12 for my spring training requests. Hopefully there will be more to come shortly. I'm not sure I've had this happen before. 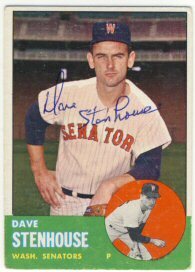 Back in September of 2014, I sent a 1963 and 1964 Topps to Dave Stenhouse. 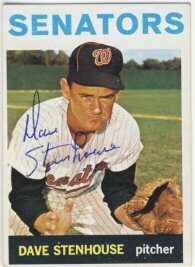 Since I hadn't received them back as of January of this year, I sent another 1963 Topps to him. I received two envelopes from him yesterday. 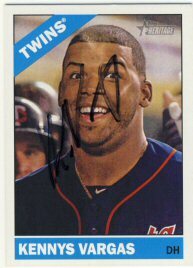 which contained all my cards back signed. So far my spring training effort has been a complete bust. 0 for 12. I expected to at least get back a couple by now. Today I did get a nice return though. 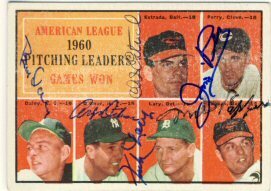 Jim Perry finished off my 1961 Topps card of the American League games won leaders from 1960. It took 18 months to complete.